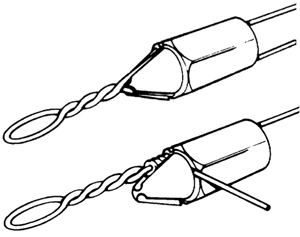 Now anyone can make their own single strand haywire twist leaders. Our Dubro E/Z Twist is available in three sizes and comes complete with easy to follow instructions. For 3-8 gauge wire (.012 - .020 diameter wire) or 32- 86 pound test.